We focus on residential design offering AutoCAD drafting of floor-plans & development of interior decor boards to color consultation, space planning & lighting; even home staging and organization. Deb believes in home styling that works just for you: within your specific budget and inspired by the way you live. Each project is unique to her client’s own lifestyle, interests and personality. Designdot is a full-service design consultancy. Our services can compliment a range of budgets and design sensibilities. Our mission at Designdot is simple: to give our clients the gift of design. I work closely with clients to set objectives & set priorities. Our collaboration helps clients avoid costly mistakes & allows us to focus effectively on creating interiors that enhance their life! At Tami Smight Interiors our philosophy is to create casually elegant, usable spaces in which you can live, play and entertain. We specialize in custom window fashions and paint consultations. 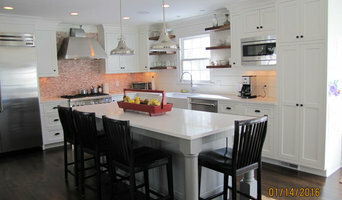 Awarded Fairfield County Best of Houzz for 3 consecutive years! 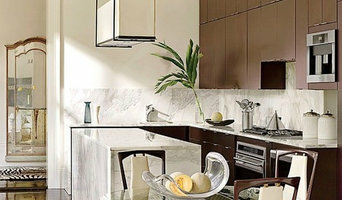 Lisa Fero Interiors, a residential interior design company, was launched in 2010 and has enjoyed growth ever since. We are proud to say that our growth is due almost exclusively to word of mouth, a testament to the quality of work and customer service that Lisa provides to each of her clients. Lisa’s down to earth and honest approach to design can be seen in the practical, functional, and also beautiful rooms she has created. Lisa works closely with each client to understand their needs, often designing rooms with family in mind, friendly and practical for kids of the two or four legged variety. An understated but updated and elegant feel is something most appreciate. A simple goal for Lisa and the Lisa Fero Interiors team is for our clients to feel like their home is a place to kick back comfortably in a stylish but unintimidating room. Lisa’s background as a retail buyer for a large New York furniture store has given her a great perspective on market trends and customer needs. It was there, while managing a twenty two million dollar account that she learned about the importance of quality, traveling to such places as Italy and China to develop product for the company. We love our clients and strive to make each project not only smooth, but fun. When hiring Lisa she will walk you through each step of the design process and you will feel comfortable and secure each step of the way. 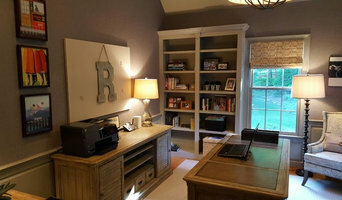 Connie Cooper Designs is a full service interior design firm located in Fairfield County Connecticut. Whether you need full interior design services or want to freshen up your home we can help. Founded by Amanda Lehmann in 2011, Lehmann Creative Studio is a boutique design firm and art studio born out of Amanda's love and curiosity for all aspects of tactile creative expression. 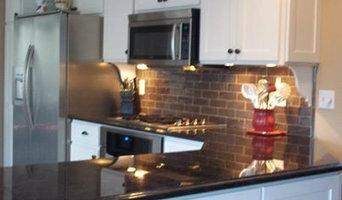 Studio KC is a full service interior design firm. We’re happy to work with clients that are big or small. Services can be tailored to meet the client and project’s needs.